Starting from zero by opening a business to renovate a fence, garage or bathroom, then increase by being able to build a whole house and now have a property portfolio worth tens of trillions in Australia with the Crown Property flag. 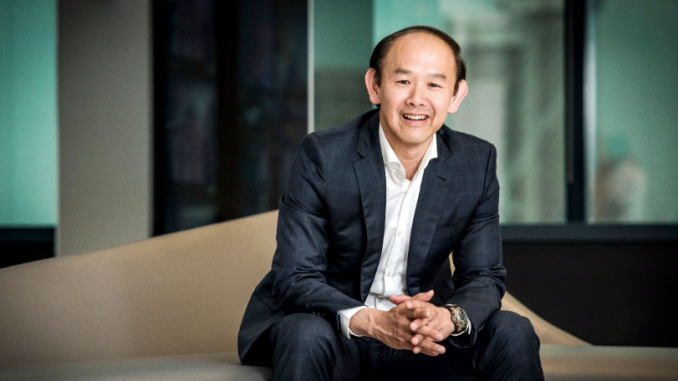 Crown Property is a company founded by Iwan and his friend Paul Sathio in 1994, after being successful today is known as a luxury property specialist developer. If initially, it was only courageous to employ students so that the fees were cheaper, Crown now had many employees and representative offices in several countries. Everything starts with small things. “You think the big start is really small,” he said, reminiscing about his time working on whatever work the customer offered. From friends to friends, from you to relatives, slowly but surely, Iwan began to stick his nails in the property world in Australia, where he studied from bachelor to master in architecture. Crown’s performance began to be recognized. As a successful property entrepreneur in the Aussie, who would have thought Iwan had also experienced it felt like not going to class when the elementary school in Pangkalan Bun, Central Kalimantan. But Iwan recognized the bitter experience as a turning point because after not going up to class, he was actually placed in a class whose contents were smart people. “And I am the worst,” he chuckled. Iwan’s parents also did not come from groups. The father had worked odd jobs at Pangkalan Bun, after ‘failing’ in Surabaya. Ranging from cutting wood, tapping rubber, to selling rubber in his area. Until finally they can get up and set up a small grocery store. It also caught fire several times. Even though it only has a small grocery store, the old man seems to have a bigger dream for education. His children must be schooled abroad. That’s what brought Iwan to Australia. “My Chinese name is Huan, which means happiness. When I was conceived and born, it was very difficult. “Daddy is sick and mama doesn’t have income at that time, so he has to fight,” he said. “Then they called my name, Huan, who was Indonesian, so Iwan. Means there is happiness in times of trouble. Because there is someone above who helps, “he said.